Far beyond the flames of dysfunctional relationships and abusively unhealthy dating drama depicted in the video, the notion of media literacy deconstructing this conversation is an important one to uncork with teens, albeit a tough and potentially traumatic one. I’m out of my league here, as I feel like it’s all hairsplitting when it comes to violence and abuse in relationships. To me, so-called “common couple violence” is oxymoronic at best (what’s ‘common’ about wailing on each other?) so that’s part of the ‘social norming’ backdraft I’d like to PREVENT entering the lexicon (or heads!) of developing teens who may take a media cue that “rough stuff is passion play”…Turns my stomach, really. When BOTH parties are sparring with verbal/physical toxicity, does this merit a different category than when the power-base of terrorism whirls through like a tornado coming from only ONE-side of manipulation, control and intimidation? These are the kinds of semantics that I don’t remotely pretend to know, despite having just read the upcoming book Tornado Warning by Actionist(TM) Elin Waldal, her own poignant survivor’s memoir of teen dating violence and its impact on her worldview and her kids. 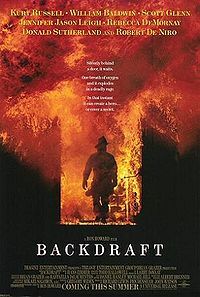 When songs and videos like this hit the airwaves (and top the charts) with muddy media messaging, it can fuel instead of dampen a fire with volatility potential for BackDraft akin to the 90s Ron Howard film. It gets even more confusing when we factor in whether it’s ‘meant’ to be a conversation opener, since Megan Fox donated her proceeds to a battered shelter, and Eminem/Rihanna have their own intentions and motivations regarding their abuse/recovery/cathartic/mea culpas stemming from their sordid tales, so I’ll dodge the verbal sparring on that for now and instead focus on HOW media like this lands on kids. What media literacy questions should we be asking to have youthful eyes and ears filter the messaging productively? Is there such a thing? What shows or media examples can we point to with healthy relationships? How can we use media to reveal the warning signs of less than ideal personality pairings? How can we introduce interactive media to help teens sift through what’s drama and what’s danger? Sites like Love Is Respect or The Line Campaign to establish clear cut boundaries and get hands on help safely and fast? Is it plausible to help discern and dial down coercive behavior from the onset using digital tools to reach kids like A Thin Line or BOM411 (Boss of Me) to prevent controlling patterns and help kids feel less isolated and lonely when they’re conflicted about what constitutes abuse or annoyingly possessive behavior? These are some of the questions I’d like to see in the media mix. I’ve read tons this past weekend about the video controversy ranging from semantics, complicity and pouty-lipped wardrobe sexualization to awareness raising, ,profiteering and PSAs all with varying degrees of self-righteous indignation, including males being whomped on relentlessly by females and media’s coverage (or lack thereof) about same. After awhile it all seems to be a fouled up blur, particularly having just come from the Global Leaders for Justice session, where much of this gender violence takes place with alarmingly surreal regularity on a disproportionately lopsided scale of violence against women (up to 6 out of every 10 women globally). “Domestic violence is about systematic, long-term control. It happens emotionally, psychologically, physically and economically. The overwhelming majority of batterers are men, and the overwhelming majority of its “victims” are women. Batterers isolate women from their friends and family, cut off all means of independence and control their every move. Mind you, I have several reasons it makes me ‘angry’ (frustrated, really) not the least of which is the misguided potential for teens to see obesession/possession as normative, since that’s what’s portrayed SO often in media moments lately. What do teens/youth in your world think about this song? Or are they even thinking about it at all? p.s. Interns…this is your ‘FlipVid’ street moment to shine. Erin, Taylor, Derek, Kayla…bring it!